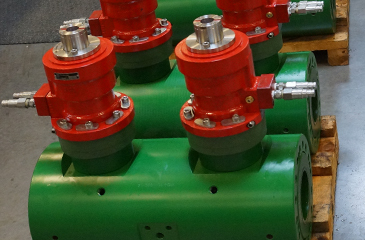 Oil States Piper Valve manufactures high-pressure compact valves, metal seated ball valves, subsea valves, subsea hot stab connectors and drilling diverter system ball valves. Series PB ball and check valve size range: 1″ thru 12″ ANSI 1500, API 5000, ANSI 2500. 1″ thru 8″ API 10000. 1″ and 2″ API 15000. 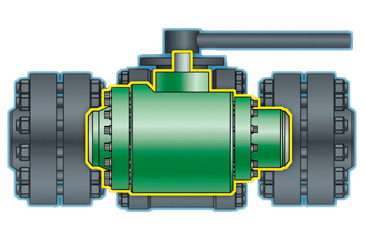 Compact design provides substantial space and weight savings versus traditional flanged end ball valves. Optimum flow technology matches or closely matches the valve thru bore to common mating pipe inside diameters, eliminating transition areas and erosion points. Product line includes ball valves, check valves, double ball valves, throttle ball valves, three-way ball valves and ball check combination valves. 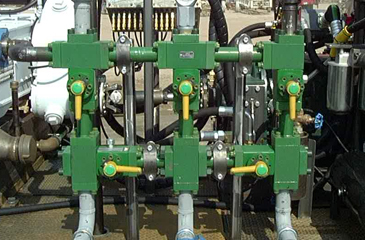 Valves specifically designed for use in unprocessed produced fluid applications. Series MST Size Range: 1″ thru 12″ API 5000, ANSI 2500, API 10000, API 15000. API 6AV1 Class II validation tested. Tungsten carbide ball and seats, lapped for positive sealing. Series LC Ball Valve Size Range: 3″ thru 6″ ANSI 600 and ANSI 900. 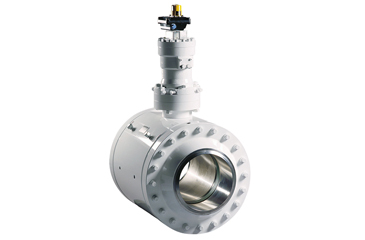 Compact design provides substantial space and weight savings versus traditional API 6D flanged end ball valves. Valve thru bores match Sch. 80 pipe inside diameters, eliminating transition areas and erosion points. Building block design allows for a wide variety of connection options and design configurations. 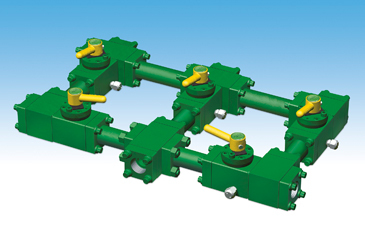 Tees, crosses, valves and end connections have matching bore sizes, which minimize transition areas and erosion points. Bolted connections allow for ease of disassembly for maintenance and/or repair work. Series DC Size Range: 10″ thru 18″ in ANSI Class 300, 600 and 900. Xylan coating of bodies, bonnets, and retainers provides corrosion resistance for ease of disassembly and extended life. Bore sizes designed to match or closely match Sch. 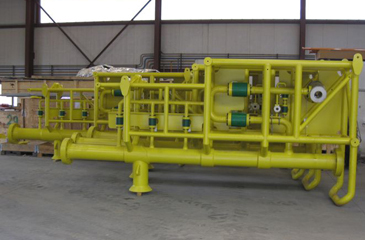 80, 100 or 120 pipe inside diameters to eliminate transition areas and erosion points. 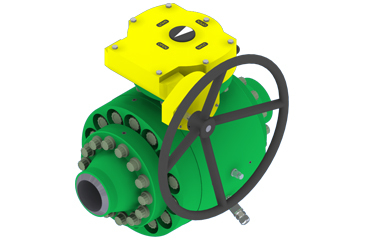 Compact design saves space and weight versus traditional API 6D trunnion-mounted ball valves. 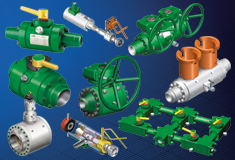 Wide selection of materials and valve configurations to meet application requirements. Compact design provides substantial space and weight savings. Wide variety of ROV operators and actuators available. Wide variety of material and end-connection options to meet design criteria. Valve size range: 1″ thru 12″ ANSI 1500, API 5000, ANSI 2500. 1″ thru 8″ API 10000. 1″ thru 2″ API 15000. Hot stab size range: 1″ thru 6″ ANSI 2500. 1″ thru 4″ API 10000. 1″ & 2″ API 15000. Rated and hyperbaric tested to 10,000 feet water depth. 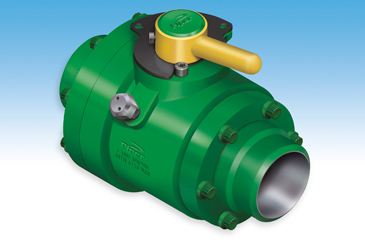 Compact valve design provides substantial space and weight savings versus traditional flanged end ball valves. 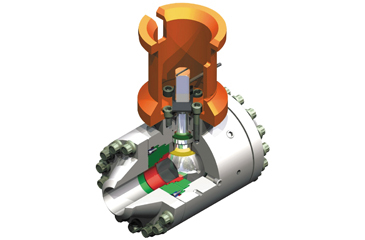 High-flow, hot stab assemblies include patented bolt-on compact flange receptacle outlet providing a wide range of connection materials and types. Size range: 1″ thru 12″ API 5000, ANSI 2500, API 10000, API 15000. Z-ring metal-to-metal external seal ring with CRA grooves.